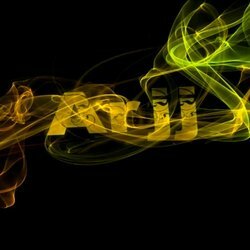 Arjj is an electronic music producer based in South Australia. He began learning how to play the piano at the young of 6 and has developed his sense of sound through his touch on the piano/keyboard. He first began producing music in 2011 and has been rapidly advancing his skills in music production. Arjj is renowned for his enthusiasm and passion which seeps into the music he creates. His motivation is driven by many popular electronic music producers and artists such as Afrojack, Avicii, Wideboys, Rehab, Pendulum, Chuckie, Bassjackers, Deadmau5, Dada Life, Skrillex, Laidback Luke, Stanton Warriors, Sidney Samson, S.H.M, Diplo, Felguk, Feed Me, Hardwell, Goodwill, Edx, ATB, and Uppermost. Since he first came to the scene, Arjj has impressed thousands of fans with his released tracks and continues to produce more music, some in collaboration with other producers/singers, while still learning and tuning his skills as an artist. The Solution is an original track produced by South Australian electronic producer, Arjj.